These days, when we hear the word “minister,” we’re likely to think of a preacher in a pulpit delivering a sermon to a church full of people. Or we may think of a top government official such as the Prime Minister of England, who holds great power over the citizens. So it may be surprising to hear that the real meaning of minister is a servant: someone who serves others. Real ministry happens every time we serve the needs of other people—even if it has nothing to do with churches or governments. Michael Sulsona, of Staten Island, New York, experienced this kind of ministry one day when he was shopping in his local Lowe’s Home Improvement store. 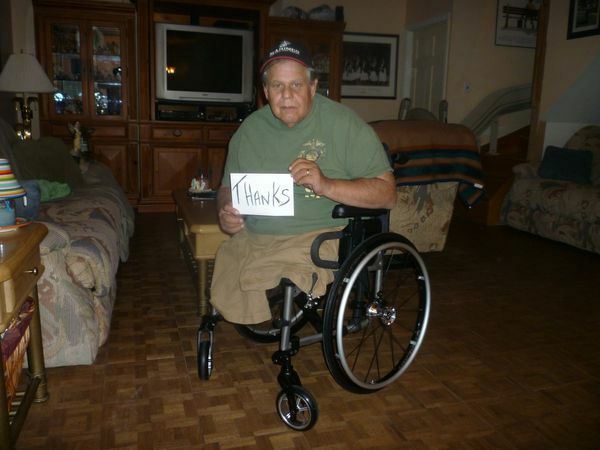 He was just rolling along through the aisles in his wheelchair . . . .
Oh, I guess I should mention that in 1971, while serving as a Marine in Vietnam, Michael Sulsona stepped on a land mine and lost both of his legs above the knee. He’s had to use a wheelchair to get around ever since. So as I was saying, Sulsona was rolling through the aisles of his local Lowe’s store, accompanied by his wife Frieda, when his ailing wheelchair fell apart on him . . . again . . . .
As it turns out, it couldn’t have happened at a better place! Lowe’s, of course, sells not only all sorts of appliances and accessories for a well-equipped home, but also all the parts and hardware that a home handyman might want. If something needs fixing, chances are Lowe’s has what’s needed to fix it. But it wasn’t just the hardware that made this particular store the best possible place for Sulsona’s wheelchair to break down. Three employees, David, Marcus, and Souleyman, jumped to my assistance immediately. They placed me in another chair while they went to work. I left 45 minutes after closing hours in my wheelchair that was like new. 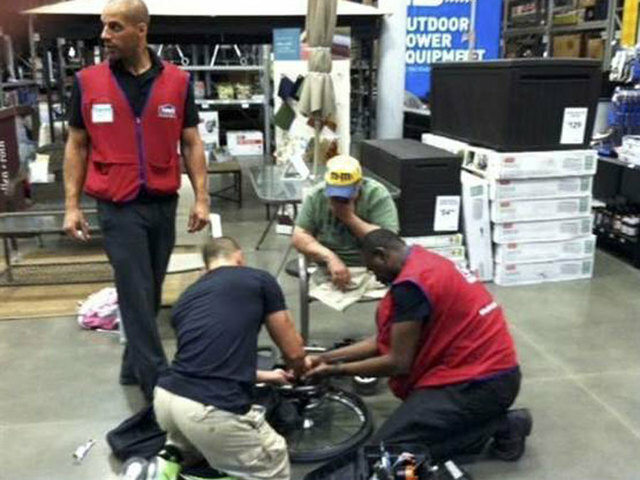 Of course, not only those three employees, but also Lowe’s, deserve credit for this act of kindness: the employees for willingly and humbly doing it, and the store for supporting them in doing it. But this isn’t an advertisement for Lowe’s Home Improvement. It’s an advertisement for the true meaning of ministry. I said earlier that the real meaning of minister is a servant. That’s not some spiritual interpretation of the word. It’s very simple: Our word “minister” comes from a Latin word that means “to serve.” Anyone who is called “minister” is meant to be serving the people, not exercising authority and control over them. That’s why Christian clergy are often called “ministers.” Not because they are to be high and mighty above the people, but because they are to be servants of the people. And good government is not about a rich elite exercising authority over the people. Government officials are called “ministers” because they are meant to be public servants. True ministry is not confined to the pulpit or the halls of power, or to Christians, or to any other group. True ministry occurs in all the little things we do every day at work, at home, and in our neighborhood to make someone else’s life better. Each one of you can be a minister, just like the Lowe’s employees who ministered to Michael Sulsona.